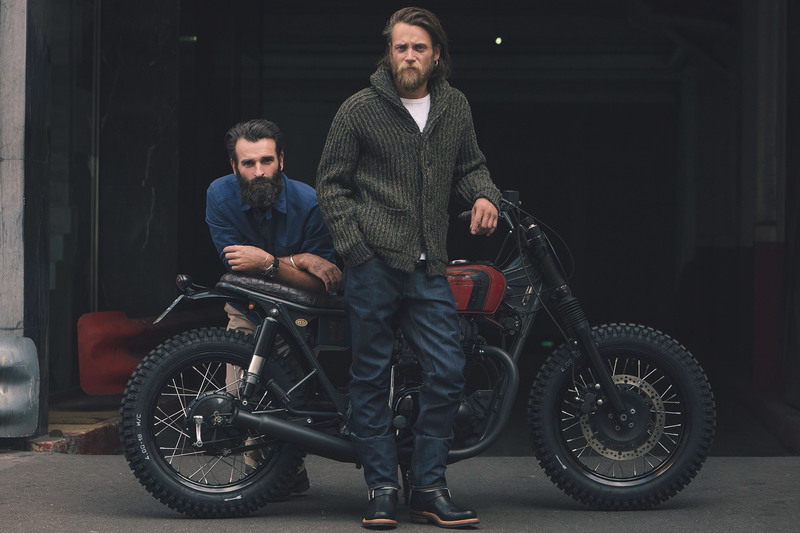 R.M.Williams and Blitz Motorcycles have joined forces to create a bespoke motorcycle celebrating craftsmanship and adventure that pays homage to the Australian drovers. Paris-based custom garage Blitz and R.M.Williams share the same passion for handcrafting unique pieces designed to tell their own story, and go on to create many more. 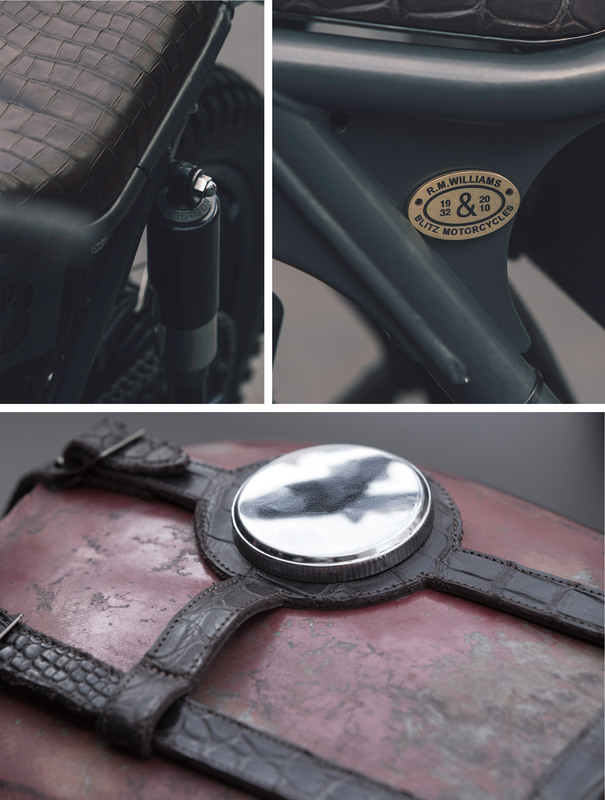 The bike features the same exotic Brown Crocodile on its saddle, handlebar grips and tank straps – all handcrafted at the R.M.Williams workshop in Adelaide. The bike also features a front plate emblazoned with RMW’s initials, and a race classification plate featuring the number 32, the date R.M.Williams was founded. The boots and bike will launch into Harrods, iconic London department store, on 29th September 2017. 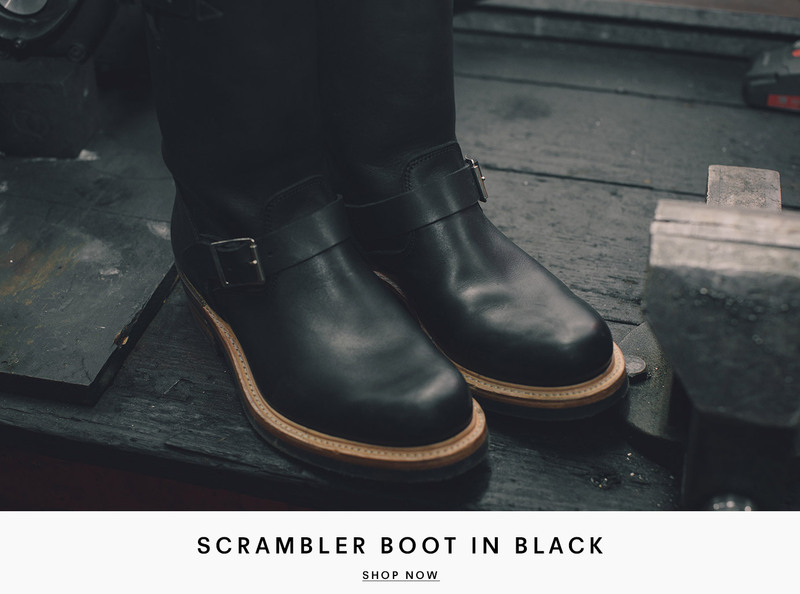 The handcrafted bespoke scrambler is inspired by drovers who use motorcycles to herd cattle over the vast and unpredictable landscapes of the Australian Outback. Many of the original drover motorcycles were based on vintage parallel twin-engine bikes. To make these more efficient in the Outback, Blitz have converted them into a scrambler model, meticulously following the customisations made by drovers in the mid 1900s. The frame has been lowered and knobbly tyres added to provide improved handling across the various terrains that drovers traverse on a daily basis – sand, desert and grassland – and, to complete the scrambler styling, track handlebars have been added. To complement the motorcycle, R.M.Williams has recreated two versions of the original Motorcycle Boot, first introduced to our range in 1993. 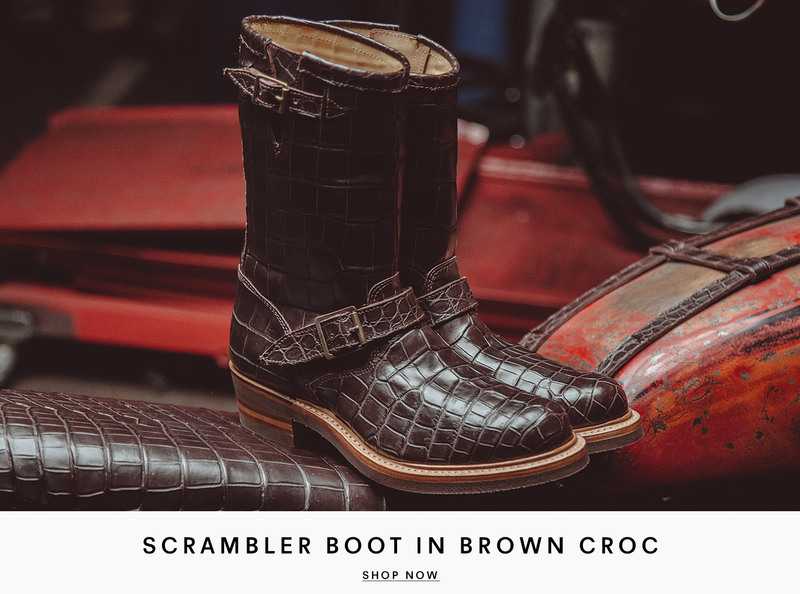 The Heritage Biker Boots will be available in two leather options, Brown Crocodile, an exotic leather available through our Made-to-Order service, and Black New Zealand cowhide, a leather exclusive to the collaboration. 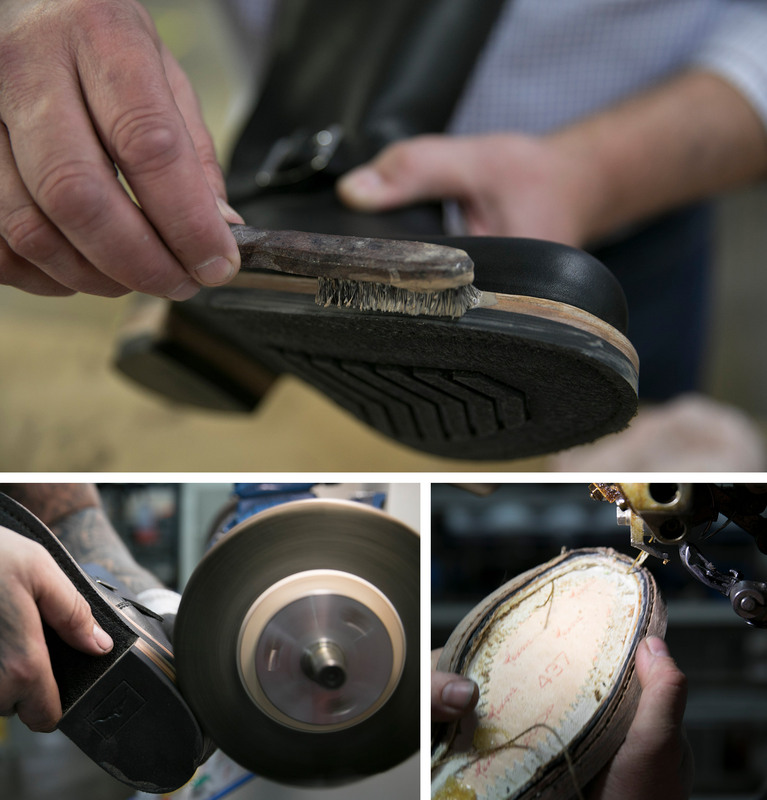 The boots feature a tread rubber sole and there are 85 hand-held processes involved in each boot’s creation.